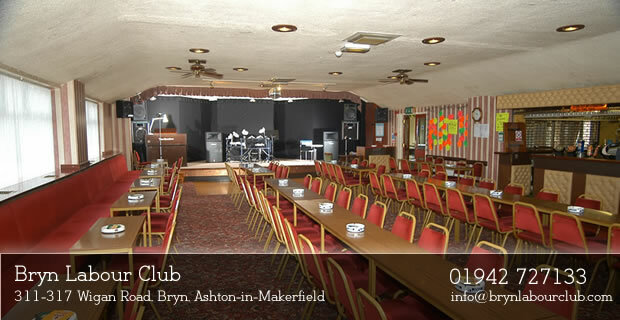 Bryn Labour Clubs function room is FREE to hire. A small deposit is required to hire the room but if there is no damage to the surroundings then the deposit is handed back with no quarrel. 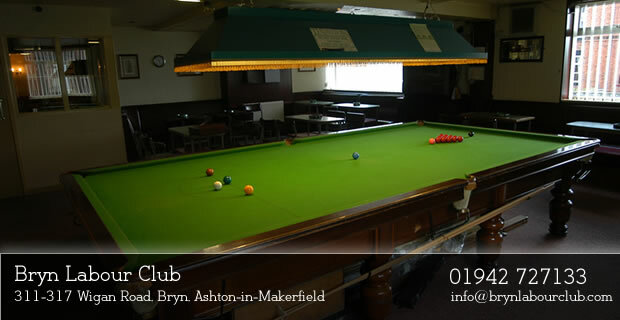 Bryn Labour Clubs function room has been host to many top artists and lots of memorable parties including the snooker teams presentation nights on many occasions. The room is a nice size and it will hold approximately 170 people including the small lounge just outside the double doors. 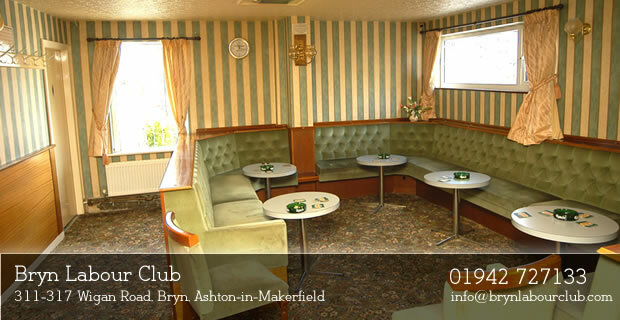 Bryn Labour Clubs small lounge, ideal to have a sit down and relax away from the kids and to have a chat. The main room as you can see is quite spacey and both together can hold approximately 170 people. To the far top right you can see the stage. Remember, Saturday nights is a regular entertainment night with some fantastic artists. 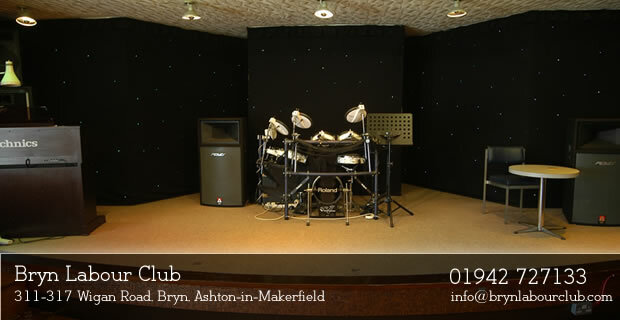 Bryn Labour Club is a members only club, however Saturday nights entertainment is different as anyone is welcome to attend. 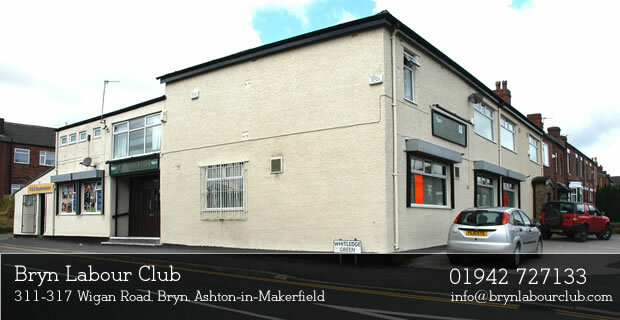 Function Rooms in Wigan - Bryn Labour Club offers a free function room to hire in the Wigan area, simply telephone us and see if there is a booking available. Our Wigan function room can hold around 140-150 people.